From the start, Phoenix was a lesson in finding the bright spots amongst seemingly insurmountable challenges. “On July 1st, 2007, after 36 hours of labor and an eventual urgent C-section, Phoenix came into our lives smiling,” shared his mother, Rebecca. Looking back, the first signs of something amiss were when, at the age of ten, Phoenix came home tired and worn from his gym class. He began to injure easily and became more cautious. Low hemoglobin levels revealed Phoenix had acute lymphoblastic leukemia (ALL) and needed immediate treatment. Doctors started chemotherapy right away. The news was devastating for him and the time to process too short. Not long after he started chemo, Phoenix would face seizures and rare medication reactions. He even spent time zipped into a scary isolation tent. It was physically and emotionally terrifying for him, and for his parents. 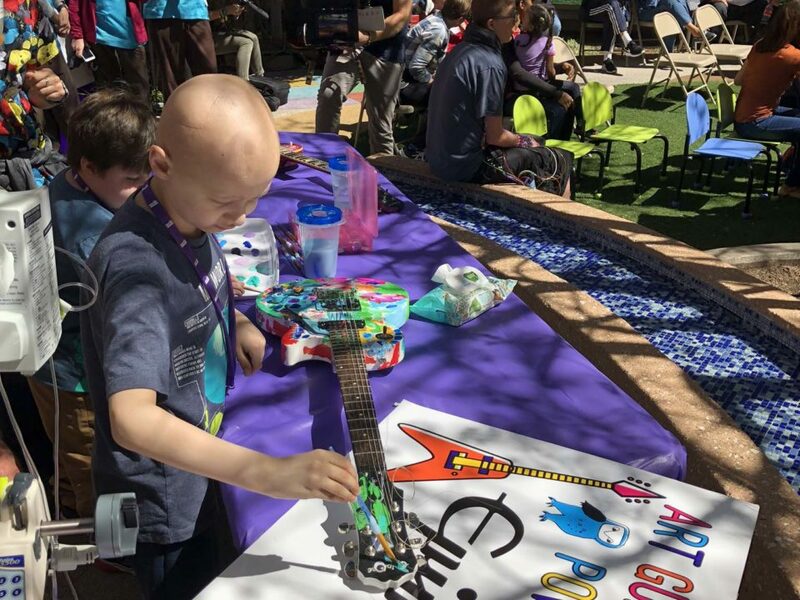 CCA provides matches for over 200 kids like Phoenix every year, pairing them with a trained, adult Chemo Pal mentor, improving their treatment experience and making a positive impact on their social interactions, mental and emotional health, as well as treatment adherence. One year and four months after Phoenix received him ALL diagnosis, Rebecca and Richard found themselves at the top of the hill overlooking CCA’s Alexandra Ellis Caring Cabin, reflecting on their journey. They hoped they could carry the connection and calmness felt in that moment forward, keep it in their hearts, move on, more complete, more loving, more connected, and more whole, than they had been before their visit. 40 families stay at the Caring Cabin every year to rest, recover, and create positive memories outside the hospital at a beautiful home nestled in the woods near Pacific City. To families whose kids have been through treatment and chemotherapy and are facing new physical abilities or are immunocompromised, being able to take them to a safe and clean location in nature is a gift. Phoenix and his family were served by several of CCA’s programs, including Link, which provides assistance to families facing financial hardship due to the massive cost of treatment, transportation, and time out of work. Link provides help in meeting essential needs, such as car and home repairs, gas cards, and purchase of equipment not covered by insurance, such as air purifiers and air conditioning units. CCA’s work is possible only because of generous gifts. You can create consistent uplift for families just like Richard and Rebecca’s with a gift to CCA to sustain joy-based programming. If you sign up as a monthly donor in April, your gifts will be matched for the rest of the year, doubling the impact.